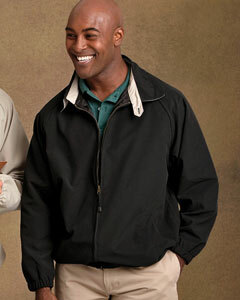 Custom embroidered windbreakers lightweight, coaches jackets, microfiber jackets, poplin jackets that are wind resistant for lightweight weather protection. 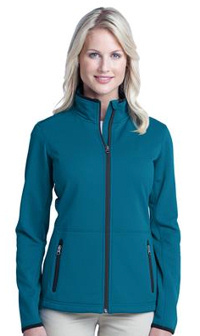 Brands such as Harriton, Tri Mountain, Port Authority, Devon & Jones, Chestnut Hill are just a few top brands featured on our custom embroidered light weight windbreaker jackets page. The Harriton Coaches Staff jacket is our economy embroidered jacket for anyone's budget. 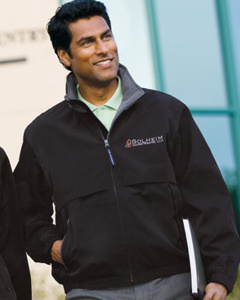 Business wear shoppers prefer the Micro fiber lodge jacket by Chestnut Hill for a fancy look with their custom embroidered logo left chest, which is included. Many styles to choose from to make your team, school, business or group stand out. Economy friendly! This custom embroidered M775 Harriton Coaches Staff Lightweight Jacket Windbreaker is simple and affordable on any budget. 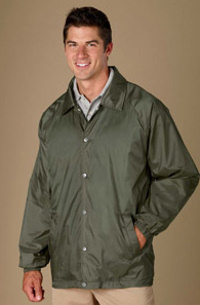 100% taffeta nylon shell lined jacket. front welt pockets, raglan sleeves for full elastic sleeve opening, and snaps at center front opening for full closure. inconspicuous zipper on inside for easy access for embroidery, and open-bottom hem finish. wind and water resistant. Custom embroidery included. Custom embroidered M710 Harriton Microfiber Club Lightweight Jacket. 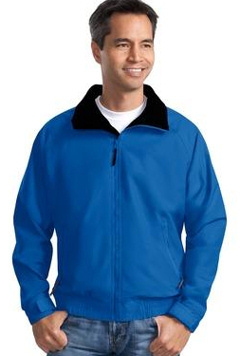 100% polyester microfiber jacket. Wind- and water-resistant. Relaxed elastic waistband and cuffs. Contrast inside collarband and undercollar, button tab on collar. Two front pockets. Inside polyester sleeve lining and inside left chest pocket with Velcro® closure. Custom embroidered logo included. A preferred classic, the Competitor Jacket is a lightweight alternative to the ChallengerT Jacket (J754). With sporty style, this workplace and off-hours favorite has reinforced seams and sturdy Teklon ® nylon to keep wind, rain and other elements at bay. Teklon nylon shell. Lightweight fleece lining. Poly sleeve lining for easy on/off. Slash zippered pockets. Interior zippered pocket. Elastic cuffs with adjustable hook and loop tabs. Elastic waistband. Custom embroidery included. Tall Sizes Available! 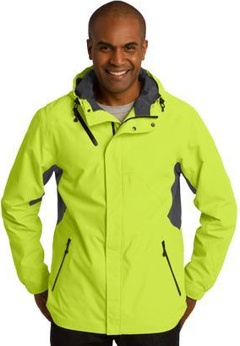 Port Authority® - LegacyT Lightweight Jacket. J764. The custom embroidered Port Authority® - LegacyT Lightweight Jacket. J764 is our professional pick for corporate casual to corporate retreats. 100% polyester shell, 100% polyester mesh upper back lining with locker loop, 100% nylon lower back, front and sleeve lining, Hideaway hood in cadet collar, Inside chest pocket, Front and back vents for breathability and easy embroidery, Front zippered slash pockets, Adjustable elastic cuffs with hook and loop closures, Elastic sides on hem, Custom embroidery included. Tall Sizes Available! 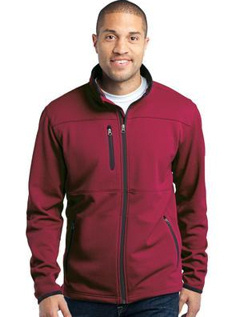 Custom embroidered Port Authority ® - Pique Fleece Jacket. F222. A rich pique texture and a cozy fleece interior make this jacket a perfect choice around the office or paired with jeans on the weekend. Thoughtful details like reverse coil zippers and binding at the collar and cuffs give this jacket modern appeal. Custom embroidered D850 Devon & Jones Men's Clubhouse Jacket. 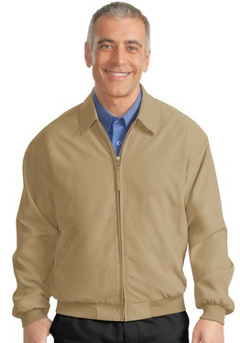 65% polyester, 35% cotton shell; breathable mesh lining; yoke vents allow for air movement and easy embroidery access; elastic cuffs and waist; self-locking outside pockets; inside zip pocket; windguard-covered front-zipper. Custom embroidery included. 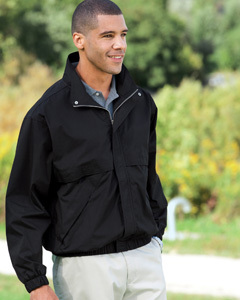 The custom embroidered Port Authority ® - Casual Microfiber Jacket. J730. Lightweight coverage and heightened comfort combine in one handsome style. 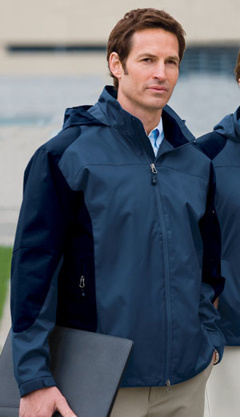 Distinctly sleek and smooth, our wind and water resistant microfiber jacket is well-suited for casual and business wear. Brushed microfiber shell, Poly/cotton body lining, polyester sleeve lining for easy on/off, Front snap pockets; interior zippered pocket, Rib knit cuffs and waistband. Custom embroidery included. Port Authority® - Endeavor Lightweight Jacket. J768. 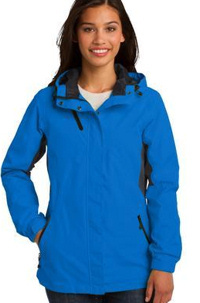 Look great in this fabulous Port Authority® - Endeavor Lightweight Jacket. J768. Port Authority made a team effort for corporate success. This fresh, fashionable workplace option has a softer, quieter hand and modern details like ergonomic zipper pulls and a stowaway hood to ensure it's as practical as it is professional. 100% polyester twill with PU coating, Mesh upper body lining, with nylon lower body and sleeve lining, Two-way zipper with ergonomic pull, Inside chest pocket, Sleeve storage pocket, Two side pockets, Adjustable tab cuffs with hook and loop closures, Bottom hem toggle adjustment, Custom Embroidery Included. For those days when the rain just won't stop. Our Cascade Waterproof Jacket is ready to go. Fully seam-sealed with waterproof zippers, this parka-length essential has modern good looks thanks to its trend-right colors, contrast zippers and colorblocking.